All Audio Magic products must survive the most important test of all before being accepted into the family: The Sound Test. Each product must demonstrate certain qualities, the most important of which is neutrality. We design all of our cables and power conditioners to exhibit extreme detail, dynamics and deep, wide sound staging. They must also be very quiet to preserve all the microdynamics and micro detail that most cables and conditioners miss. In order to reach this goal, we needed an extremely revealing system: The PA-5.1 Super System. 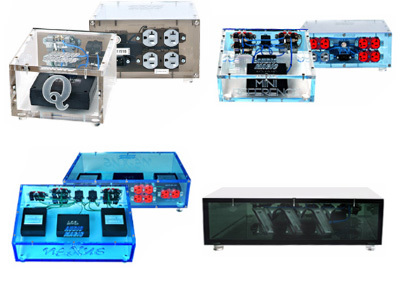 The Super System (pictured below) incorporates 19 different amplifiers, 2 electronic crossovers (one 4-way tube and one 2-way battery powered solid state) along with 2 passive crossovers. All cables tested are put through each frequency range to ensure that we don't miss a thing—and then we put them through the entire system so that they can demonstrate their cohesive nature by making music. In order to be America's #1 rated cables and power conditioners, we have gone to great lengths to assure you, the customer, get the best product available for your money! 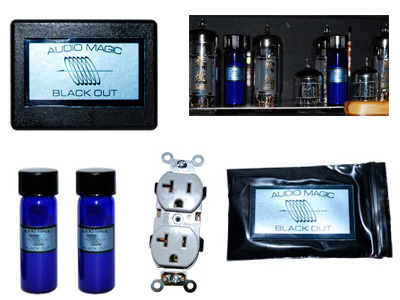 Choose the finest audio components for your high-end system. Conjured up from inky blackness come musical images of breathtaking clarity. An enchanting blend of tonal delicacy and raw dynamic power create a three-dimensional world of stunning harmonic accuracy played out on a soundstage of eerily realistic proportions. The spell is cast. It must be Audio Magic. Audio Magic's revolutionary cable design has a secret ingredient long favored by music-loving alchemists—purest quality silver. 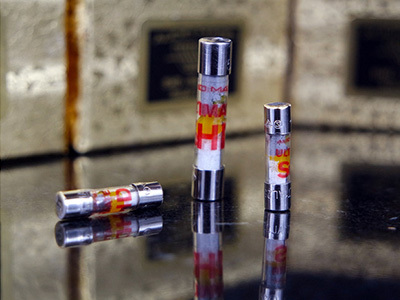 The most naturally conductive of all metals, silver easily outperforms its more commonly used and less costly rival, copper, as a pathway for electrical signals. At the heart of Audio Magic cables and interconnects is a specially treated silver conductor, carefully polished to eliminate any surface imperfections that might impede current flow. The silver is then sealed inside flexible PVC tubing in a proprietary Z-Core configuration that is the end product of years of Audio Magic's research and development. The result is a cable design that offers a musical experience of such astonishing clarity and detail that it can only be described in two words: Audio Magic. Hand craftsmanship is the hallmark of Audio Magic's approach to cable design and construction. Each piece of cable and interconnect that leaves Audio Magic's production facility carries with it the unmistakable stamp of old world attention to detail and workmanship. All Audio Magic cables are hand-constructed and must meet stringent quality control guidelines. We use only the finest quality materials assembled by caring craftsman to produce the finest in audio interconnects and cables, and that's no hocus-pocus.